I never move my tomato starts from the greenhouse right into the ground. To minimize shock, I hardened them off under the chicken boxes (on the garden side where the critters can’t get to them). A row of small straw bales is used to make a protective enclosure to allow the tomato starts to slowly acclimate to outside conditions and our relentless winds. Once again, I moved the tomato starts out on the first of three overcast days. I didn’t see any signs of shock in any of them. On a normal year, I would have had time to use the bucket on a tractor to bring in quite a few scoops of well-rotted manure to pour over my ¼ acre garden area. I would then till it all in in one direction (say, north to south), and then let all the weed seeds germinate over the next couple weeks before going back and tilling it once again in the other direction (west to east). 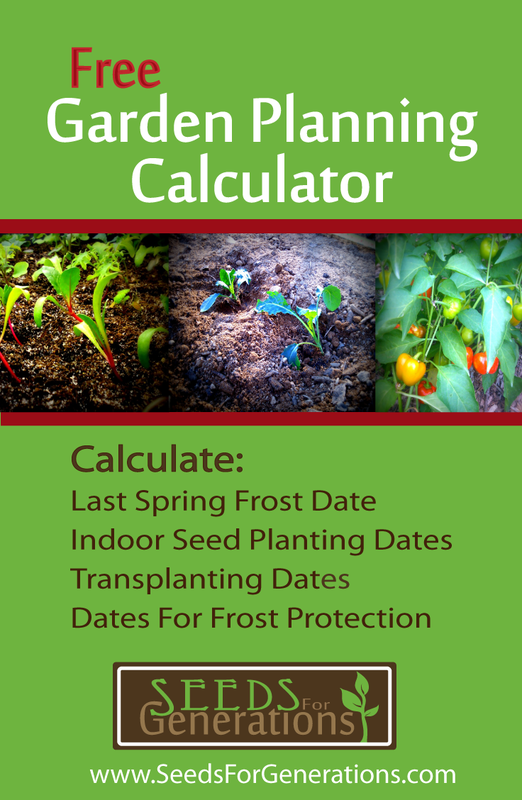 After this, it’s just a matter of waiting until my last freeze date to transplant vegetable starts into the ground. I would also normally start collecting egg shells in March or so. They go into their own little bucket and get crushed up small. When I’m ready to plant, I pour some of the finely crushed shells into each hole before placing my young tomato start right on top. I know a lot of mothers say the first year they have a baby is the hardest. For me, the year each child is one is always the hardest homestead year. A one-year-old is mobile, curious, and often challenged by being told “no.” So, this is one of those hard years for me. I have learned that on the years I have a one-year-old, I have to let some of the OCD go. This year, I once again have let some things go. I did not bring any well-rotten manure into the garden area. As long as it’s only for one year, I’m at peace with that. I’m still on a rotational garden schedule with the green manure and chickens. That means the garden I’m planting this year had a crop of green manure (2 crops actually) and the flock of chickens on it last year. The soil was still fed, just not as richly as it normally is. I still tilled the winter/spring weeds in (west to east). I actually called these “green manure” this year, since technically they were green when I did it. It made me feel a tad better. I let the weed seeds germinate, and then tilled it in the other direction (north to south). The second set of tilling didn’t get done all in a day or two like it normally would have. It got done a few rows at a time as I was planting this year. Regular readers know that we not only live in the high desert (with only a couple little rain storms during the year), but it’s also an off-grid garden. So how do we keep the garden alive and thriving? There are two factors that keep our garden watered, and we wouldn’t really be able to run it any other way. First, we have passive water that our grandparents before us set up a long time ago. We are able to set it up so that we can use hoses. Unfortunately, since it’s passive, there is often very little pressure and we have to water pretty much continuously for everything to get what it needs. Any type of pressure system is out of the question. Also since it’s passive, we could never do anything like drip irrigation because it would get plugged up quite quickly. This leads to the second part: everything is planted on an incline. We plant everything in rows north to south out of necessity. That’s the way the hill runs. Every plant has a channel down the hill to the next plant. During the day (and night when anyone is awake and around) the hose is moved from the top of one line of plants to the next line. When the last plant in the line gets enough water, it’s time to move the hose to the next line. For the tomatoes, this means using our Hoss double wheel hoe with the plow attachments to make one long, deep, channel north to south. Since I did not bring in compost for the garden this year, I’m using some organic fertilizer to help them get started. I used Espoma’s Organic Garden-tone. Per the instructions on the back, I added 3 tablespoons of fertilizer to each hole. Then I back filled the soil and, using gloves, mixed it thoroughly with my hands. Lastly, I placed my tomato plants in the hole. I plant my tomato starts a bit deep so they will be encouraged to grow strong roots. I always have to make sure that my channels don’t have extra soil in them when I’m done so that the water I start at the top will make it’s way all the way down to the bottom. We’ll get some hot days in July (probably a week in the 90’s). Otherwise, it isn’t really that hot here, and so our tomatoes don’t really like that much water. They will get about a third of the water that everything else will. Our rule of thumb is not to water them until we start to see one wilt. I put tomato cages on these tomato plants. It’s not what I usually do, but I was wanting to do what was quickest and easiest this year. I would normally use a homemade tomato planter for each set of 12 plants, but that involves getting the tractor out to line them up, filling them with dirt, cutting and tying twine string, etc. It’s totally worth it any other year, but this year I just wanted to support them and be done. If time allows, I will try to side-dress these tomatoes with some well-rotted manure. But if that doesn’t happen, I’ll be at peace with it. There are directions on the back of my Garden tone to fertilize these tomatoes once a month. With our short seasons, that will probably be just once. Maybe twice. Again, it’s not super hot here, and the season is really short. Very rarely do we get red tomatoes off the vine from the garden. When the time comes, we’ll harvest wheelbarrow after wheelbarrow full of green tomatoes and wait for them to ripen. As far as picking red tomatoes off the vine, we’ve got indeterminate types growing in the greenhouse for that.